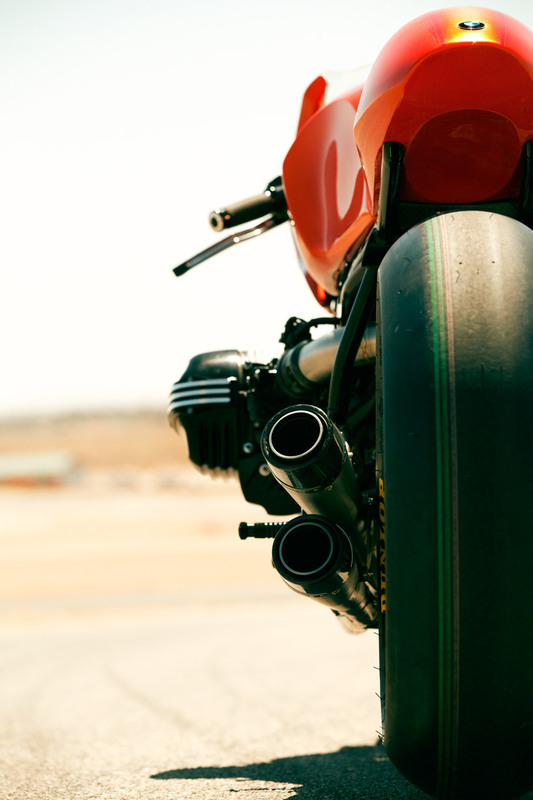 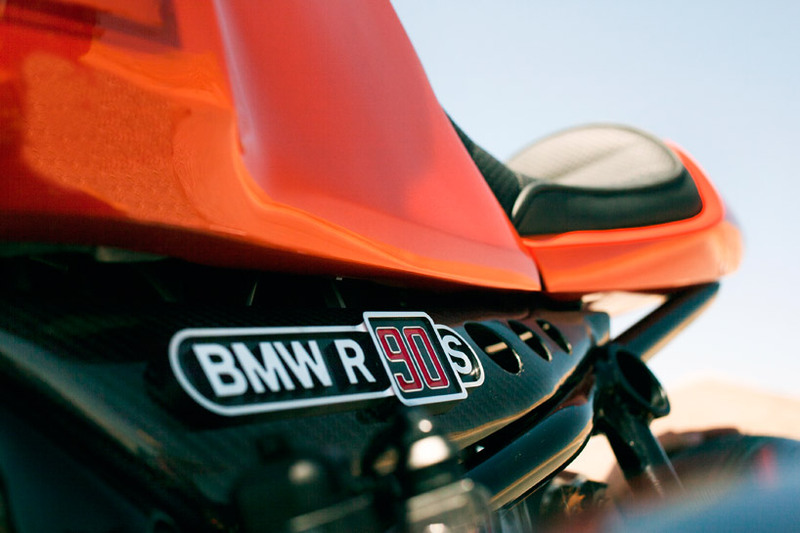 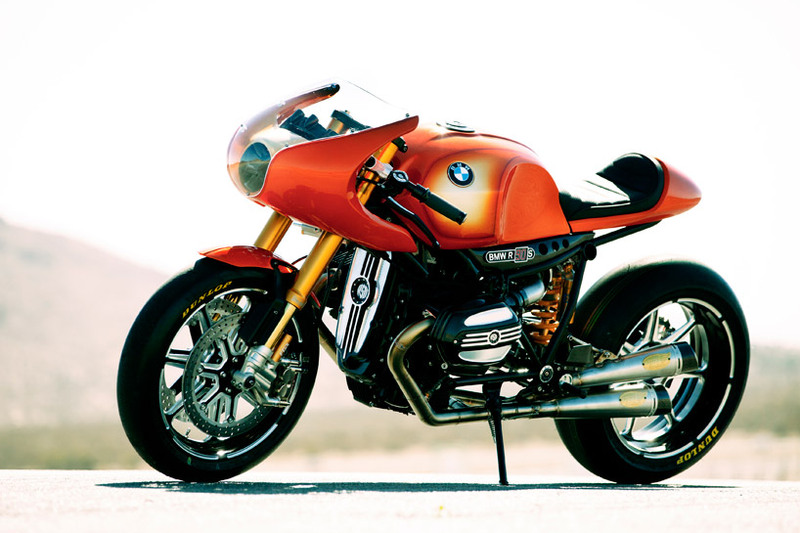 BMW Concept Ninety: The Story — BORN Motor Co.
finished in daytona orange paintwork similar to the original R 90 S, brushed areas from the custom aluminum craftsmanship can be seen in the tinted areas of the front fairing and tank. 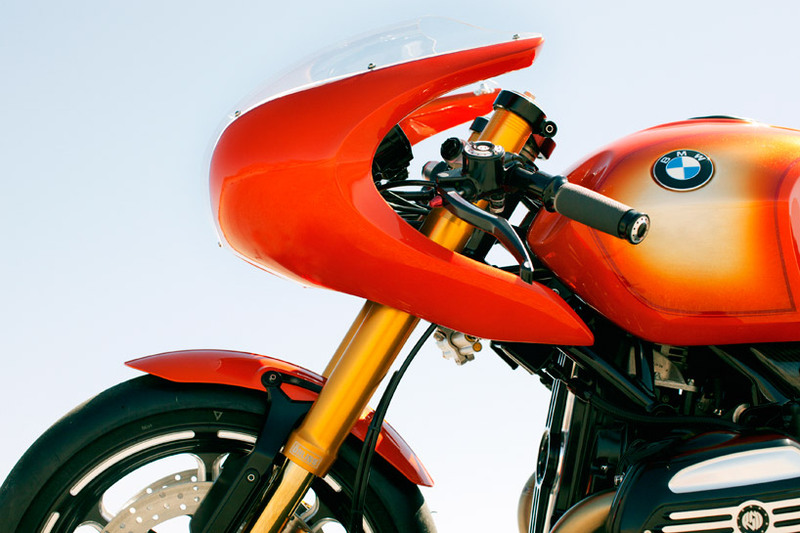 contemporary LED elements light up the face of the bike honoring its ancestor with a round headlamp design. 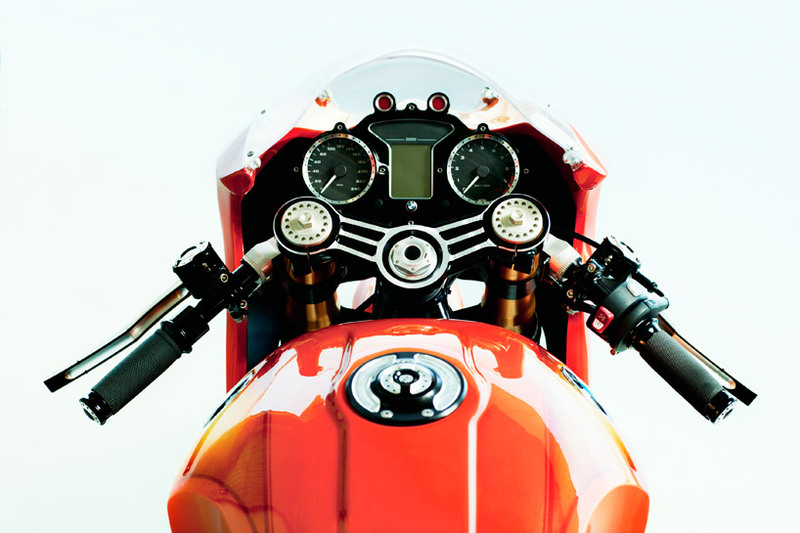 additional key highlights include the front cover of the engine the valve covers and exhaust system designed by sands, which are painstakingly milled using a contrast cut process; striking an alluring contrast to the black mechanical components. 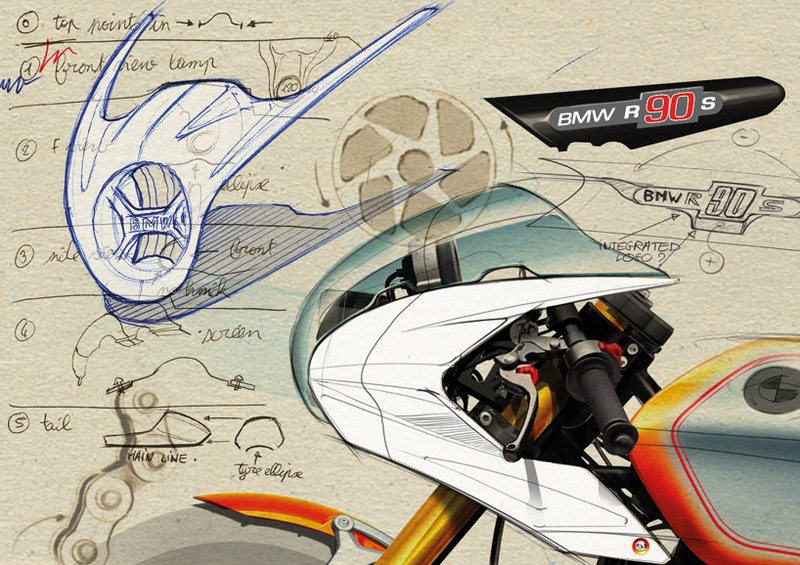 this technology was also applied to the rims, whose classic design recalls the racing triumphs.